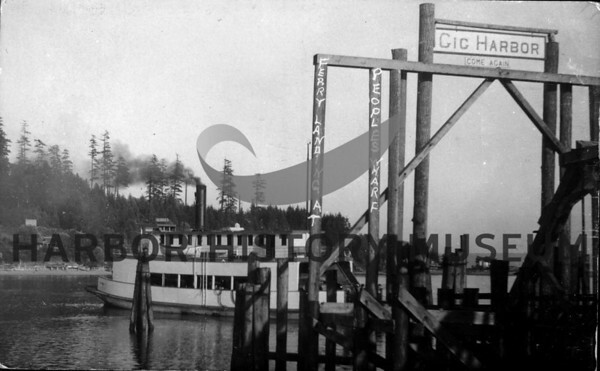 The Ferry "Gloria", former "Florence K," at Peoples Wharf (now Tides Tavern); Built by AM Hunt in 1924. East Gig Harbor in the background. It ran for two years until it was sold to Crosby Ferry Lines and was renamed the “Beeline.” The People's Wharf was located at the current Tides Tavern.